To reduce the risk of counterfeit goods being sold online, brands are introducing measures to ensure traceability throughout the supply chain, including printed packaging. Ordering online at any time of day or night, from any location, has revolutionised shopping. Pick and pack deliveries are flying out of the door from a growing number of e-commerce businesses, as buyers favour the convenience of online shopping. Whilst the internet has made it possible for thousands of new companies to set up shop and compete with established brands, there’s always a flip side. The opportunity to reach an extensive audience, coupled with relative anonymity, has led to a rise in the trade of counterfeit goods. There are various issues with counterfeit goods. Firstly, they aren’t what the customer was expecting. What’s more, they are unlikely to match the industry standards and quality controls of the brand they are imitating. This not only impacts on the appearance and lifespan of the goods, but potentially their safety. 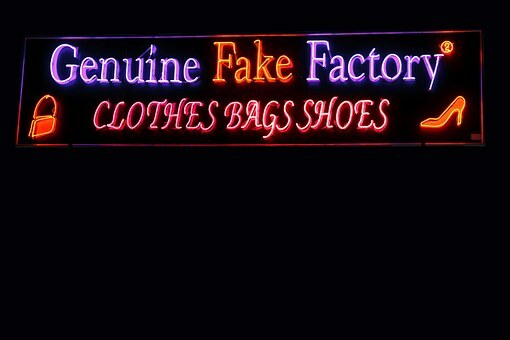 If customers are sold counterfeit goods, believing them to be from trusted companies, the failure to meet expectations can be damaging to the brand reputation. Influential reviews on inferior quality, faulty and ill-fitting goods will quickly put other shoppers off. These factors, alongside the fact that the company is losing sales and their intellectual property rights, have a negative impact on success. To reduce the risk of counterfeit goods being sold online, brands have to be vigilant at every stage of their manufacturing and delivery processes. In a bid to tackle the issue, many are introducing measures to ensure traceability throughout the supply chain. One way in which this can be achieved is through printed packaging. Printed packaging includes the application of 2D barcodes, QR codes, image-based ID readers or holograms, all of which play a part in monitoring goods. With a scan at each delivery and receipt point, the goods can be followed from production line packing, through delivery channels and onto the consumer. Not only do printed codes support traceability; they also increase the efficiency of warehousing, fulfilment and delivery. When scanned, the code can provide all the information needed at each stage in the process. The vast majority of manufactured goods are packaged, stored and transported in corrugated cardboard boxes. A wide range of print options are suitable for cardboard, but for monochrome designs, including barcodes and QR codes, printing is a straightforward and low-cost option. Another aspect of anti-counterfeit product packaging is security. Robust designs and integrated seals are two ways to minimise the risk of products being tampered with. For some products, tamper-proof packaging is an industry requirement, but it actually makes good sense for all online retailers. A minor alteration to the box design, or the inclusion of a seal strip, needn’t cost a lot, yet it could offer your goods increased protection between the packing and delivery stages. If you are an online retailer who is keen to make use of printed packaging or design alterations in order to improve the traceability and security of your packaging, get in touch with Aylesbury Box Company. We are happy to advise, keen to find viable solutions and we manufacture all cardboard boxes to your exacting requirements. How can Shoppers Protect against Counterfeit Goods? Also, consider the quality of the site – a professional online retailer will invest in high-resolution images, professional design and layout and strong text. Is there a company contact address, or just a P.O.Box? If in doubt, it is best to leave it. That fantastic bargain might not be as great as it initially appears.